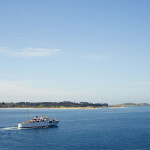 Isles of Scilly, St Martins Comments Off on Its Spring Time! The clocks have changed and its now British Summer Time. Check The Stables Availability and the Isles of Scilly Travel website to book your next trip.